1862—Secretary of the Navy Gideon Welles directs the formation of an organization to evaluate new inventions and technical development that eventually leads to the National Academy of Science. 1943—USS Fletcher (DD 445) and Scouting Observation Plane (VCS 9) from light cruiser Helena (CL 50) sink Japanese submarine I-18 in the Coral Sea. 1944—USS Gudgeon (SS 211) sinks Japanese freighter Satsuma Maru that was previously damaged by Chinese B-25s off Wenchow, China. 1945—The Yalta Conference ends after an 8-day session where President Franklin D. Roosevelt, along with British Prime Minister Winston Churchill and Soviet Premier Josef Stalin, discuss Europe's post-war reorganization and the reestablishment of a war-torn Europe, and for the Soviets to enter the war against Japan upon Germany's defeat. 1957—USS William C. Lawe (DD 763) rescues all hands from the sinking Italian merchant vessel, Giacomo H. Atlieri, off Cape Bonifati, Italy. In today's national headlines the governor of California is expected to recall all members of the National Guard who have been deployed to the border with Mexico, and stalled talks in Washington as the government moves closer to another shutdown. USS Spruance and USS Preble sailed within 12 nautical miles of the Spratly Islands as a part of a freedom of navigation exercise reports CNN. "All operations are designed in accordance with international law and demonstrate that the United States will fly, sail and operate wherever international law allows," said Cmdr. Clay Doss. USNI News reports that military department secretaries say to remain ahead of adversary capabilities, the U.S. must invest in multi-domain and interoperable weapons. "We're looking at how the Navy fights and how the Navy fights with the Army and the Air Force," said Navy Secretary Richard V. Spencer. Additionally, Stars and Stripes reports that USS Blue Ridge made its first port visit in nearly three years following a refit. Traditional founding of Japan by Emperor Jimmu Tenno. Sixteen-year-old Sacajawea, the Shoshoni guide for Lewis & Clark, gives birth to a son, with Meriwether Lewis serving as midwife. News of the Treaty of Ghent, ending the War of 1812, finally reaches the United States. 14-year-old Bernadette Soubirous, a French miller's daughter, claims to have seen an apparition of the Virgin Mary at Lourdes. President Theodore Roosevelt proclaims strict neutrality for the United States in the Russo-Japanese War. Theodore Roosevelt Jr. and Eleanor Alexander announce their wedding date--June 20, 1910. The Reich arrests 150 Catholic youth leaders in Berlin. The Negrin government returns to Madrid, Spain. The German battleships Gneisenau, Scharnhorst and Prinz Eugen begin their famed channel dash from the French port of Brest. Their journey takes them through the English Channel on their way back to Germany. The meeting of President Franklin Roosevelt, Prime Minister Winston Churchill and Marshal Joseph Stalin in Yalta, adjourns. U.N. forces push north across the 38th parallel for the second time in the Korean War. Walt Disney's film Peter Pan premieres. A 75,000-watt light bulb is lit at the Rockefeller Center in New York, to commemorate the 75th anniversary of Thomas Edison's first light bulb. Poet and novelist Sylvia Plath commits suicide in London at age 30. Cambodian Prince Sihanouk blames the United States for a South Vietnamese air raid on a village in his country. President Lyndon Johnson orders air strikes against targets in North Vietnam, in retaliation for guerrilla attacks on the American military in South Vietnam. Mrs. Margaret Thatcher becomes the first woman to lead the British Conservative Party. South African political leader Nelson Mandela is released from prison in Paarl, South Africa, after serving more than 27 years of a life sentence. THANKS TO THE BEAR. 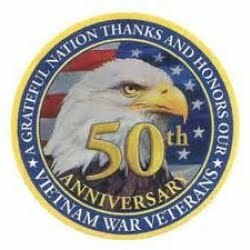 This List is devoted to welcoming the Bear back to continue his history of the air war in Vietnam. Thanks to THE Bear, who is BACK!! The infiltration routes in Laos during the entire Vietnam air war were largely unpaved and the weather significantly influenced the years of American interdiction campaigns relentlessly waged 24/7 against the Ho Chi Minh Trail. Roads were open to traffic only during the dry season (the northeast monsoon), which typically lasted from October to April. During the wet season (the southwest monsoon), the unpaved roads became deep mud, rendering vehicular passage almost impossible. Prior to the 1970 wet season, North Vlietnam used the dry season to infiltrate, and the wet season to stockpile materials in the border areas for the next dry season. Typically the enemy anti-aircraft artillery (primarily 37mm, 23mm, 14.7mm and 12.5mm) were pulled back to North Vietnam to guard the passes and stockpiles and for maintenance. In November 1968 the United States and its allies began the COMMANDO HUNT campaigns, sometimes referred to as "the war against trucks," which occurred every dry season until 1971-1972. These campaigns became more sophistocated technologically. During the 1970 wet season North Vietnam road crews and the AAA defenses were not withdrawn as they had been in the 1969 wet season (Nov 68-Apr 69) to North Vietnam. Rather, the road crews continued to work in Laos until the cumulative effect of rain and bombing forced them to cease. This new pattern of working through the rainy season resulted in the development of all-weather roads the length of the Ho Chi Minh Trail by the end of 1972. From 1 November 1968 to 1 September 1971, United States levels of both men and aircraft decreased further. Their responsibilities were handed over the South Vietnamese as part of the "Vietnamization" program. While vietnamization of the air war was most pronounced in South Vietnam, some also occurred in Laos. In 1970, U.S. air forces–Air Force, Navy and Marine–were empowered to engage in "protective reaction" strikes in North Vietnam. Thus, if the North Vietnamese fired on a reconnaissance photo plane, the photo aircraft's escorts were authorized to return fire, or a separate strike could be called in against the offending weapon site. Being illuminated by a fire control radar later sufficed to justify protective reaction strikes. The early protective reaction strikes were flown predominantly below 20-degrees North near the North Vietnam side of five of the mountain passes leading into Laos: Ban Raving, Ban Karai and Mu Gia in the south; Keo Nua and Barthlemy in the north. North Vietnam stockpiled material near these passes and placed SAMs near them to extend surface-to-air missile coverage into Laos. By late 1971, the road network in Laos and Cambodia was extensive and of high quality. In conjunction with the stockpiling of supplies, including tanks and 130mm guns, on the North Vietnamese side of the mountain passes, along the Ho Chi Minh Trail infiltration routes and in South Vietnam, this roadwork foretold of a major North Vietnamese undertaking. Also, as the 1970-to-1972 dry season began in Laos, there was a major increase in the flow of both men and material into South Vietnam. At the end of March 1972, North Vietnam openly and brazenly invaded South Vietnam across the Demilitarized Zone. Consequently, on 7 April 1972 the United States bombing of North Vietnam was resumed. By 8 May Haiphong harbor was mined and by 1 June the JCS limitations on the number of sorties and the types of targets was removed. Operation Commando Hunt was history. The code name of the renewed bombing campaign of North Vietnam was initially called Rolling Thunder 57. This was changed to Freedom Train, but by 10 May 1972 was code named Linebacker. The North Vietnamese were isolated from the sea by the mining campaign code named Pocket Money. End Overview of Commando Hunt. Tomorrow, Monday, 11 February, begins the RTR commemoration of the 50th anniversary of Operation Commando Hunt, one week at a time. The weekly posts will include: a summary of world and national news from The New York Times; documents from the CIA Reading Room; pertinent items from President Nixon's Daily Brief; documents from the State Department's Foreign Relations folders; updates on peace negotiations in Paris and the war in South Vietnam; and, the weekly KIA/WIA casualty reports. At the end of 1968, 30,000 American lives had been lost in the Vietnam war. In 1969 another 11,780 American warriors fell. The final cost: the 58,220 whose names are etched into the Vietnam War Memorial Wall. Commando Hunt posts will honor and pay respect to every aviator lost in the "war on trucks." Humble Host is pleased to report that a principle source for these posts will be the Headquarters, Pacific Air Force, monthly summaries of Southeast Asia Air Operations, declassified 1992, thanks to the great folks at the Air Force HRA at Maxwell. These documents are not available on the internet, yet. (9) On 17 November an F-105D of the 34th TFS and 388th TFW out of Korat lost oil pressure on a strike mission requiring the pilot to eject when the engine seized. The pilot was rescued. (10) and (11) On 17 November an F-100D of the 309th TFS and 31st TFW out of Tuy Hoa and an O-2A of the 23rd TASS and 504th TASW out of Nakhon Phanon collided in mid-air over South Vietnam. Both pilots survived the incident and were rescued by Jolly Green 15, an HH-3 captained by LCOL Royal Brown…. "Bill Marr's war has changed. Ten days or so ago, it seemed that almost every time he climbed into the sky in his F-4B Phantom jet, someone tried to shoot him down. That was before the bombing of North Vietnam stopped. "Now his missions are all over South Vietnam or neighboing Laos, where the targets are less plentiful and the flak spotty, even on bad days. For the first time in almost two years of combat, Lieutenant Commander William Marr, age 32, of Osage, Iowa, and his fellow pilots in Fighter Squadron 143–'Best in the West'–are beginning to relax. He told a friend to relax. He told a friend the other day, after an uneventful bombing run near Hue: 'Many more of these milk runs and I may ace this war out.' For example, take Mission 1622. It began as they all begin, in the ready room. The flight briefing was conducted in the usual jargon of pilots, with talk of Tacans (Tacan, a navigation device), Taproom One (a code name), Mark 82s (500-pound bomb) and RIOS (the electronics specialists who sit behind the pilots). There was only one thing missing–tension. "Twenty minutes later, Commander Marr's plane hurtled down the deck in a tremendous burst of energy that distorted his face and slammed him back into his seat. In a second and a half, the F-4 was airborne. As the plane broke through a thick layer of clouds at 10,000-feet, another F-4 snuggled up under his right wing. The two aircraft sped toward the South Vietnamese coast and Hue at more than 400 miles an hour. "Terse, almost toneless radio chatter filled the air. It seemed as if a hundred pilots and ground stations were trading information. Patches of dark greeen appeared below. The two F-4s contacted a ground controller at Phu Bai, just south of Hue. This was where the changing nature of the war became apparent. Flying over North Vietnam, Bill Marr and his RIO had always had to go in low, guide themselves and find their own targets, ducking flak and anti-aircraft missiles. Now from 18,000-feet below, a detached voice, reciting computer and radar figures, told them where the target was, how to get there, when to drop the bombs. Outside, the sky was clean, a brilliant blue, unmarred by any black puffs of exploding cordite. "'Taproom One, Taproom Two,' said the voice. 'Come two points to a two seven zero heading, drop 100-feet.' More instructions followed. Then, 'You may release when I say 'mark." A few seconds passed, the voice came back. 'Three, two, one, zero, mark, mark.' A dozen olive-drab bombs slipped from the two F-4s. They plunged through cloud cover below and out of sight. The transition from ROLLING THUNDER to COMMANDO HUNT was a welcome change for the Air Force, Navy and Marine Yankee Air Pirates accustomed to rolling in on the heavily defended bridges and SAM sites of North Vietnam. Joe Crecca is a good friend of mine. I met him at FedEx and flew with him several times over the years. Great guy and a great story! Bookseller conducting a market survey asked Patty: "Which book has helped you most in your life?" She replied, "Al's check book!!" One lazy Sunday morning, Patty and I were quiet and thoughtful, sitting around the breakfast table when I said to her unexpectedly. When I die, I want you to sell all mys stuff immediately." "Now why would you want me to do something like that," she asked. "I figure a woman as fine as yourself would eventually remarry and I don't want some other jerk using my stuff." She looked at me intently and said, "What makes you think I'd marry another jerk?" Then there was the year I bought a hamster skin coat for our anniversary. That same weekend, I took her to the fair, and it took me three hours to get her off the Ferris wheel. A prospective husband in a book store "Do you have a book called Husband— the Master of the House?" Sales girl: "Sir, fiction and comics are on the 1st floor!" Sure, marriage can be fun some of the time. Trouble is you're married all of the time. Happy 51st Patty! Everyone else have a good week. Russia—New Cruise Missile More Widely Deployed Than Thought Radio Free Europe/Radio Liberty | 02/11/2019 Russia has deployed more of its controversial 9M729 cruise missiles than was previously thought, according to a German newspaper cited by Radio Free Europe/Radio Liberty. Units equipped with the 9M729 have been stationed in Mozdok, North Ossetia, and Shuya, near Moscow, a western intelligence official told the Frankfurter Allgemeine Sonntagszeitung on Sunday. In addition, training battalions are stationed at a development site in Kapustin Yar, Astrakhan Oblast, and in Kamyshlov, near Yekaterinburg. Each 9M729 battalion has four vehicle-based launchers with four missiles each, said the paper. On Feb. 2, the United States announced it would suspend it participation in the Intermediate Nuclear Forces (INF) Treaty, which banned the deployment of ground-launched missiles in Europe with a range between 310 miles (500 km) and 3,400 miles (5,500 km). Washington cited the nuclear-capable 9M729, which has a range of 1,460 miles (2,350 km), as a key factor in its decision to withdraw from the treaty. With this range, the missile would be able to reach Eastern and Northern Europe from their current bases, the newspaper said. Moscow says the 9M729 has a range of 300 miles (480 km). United Nations—3 Peacekeepers Killed In Helicopter Crash in Abyei United Nations Interim Security Force for Abyei | 02/11/2019 Three Ethiopian peacekeepers have been killed and 10 injured in a helicopter crash in Sudan's disputed Abyei region, reports the United Nations Interim Security Force for Abyei (UNISFA). The Mi-8 helicopter went down on Saturday as it reached the UNISFA compound, reported Agence France-Presse. The helicopter was on a routine flight carrying Ethiopian troops on rotation from Kadugli in Sudan. The remains of the three peacekeepers were repatriated in a ceremony on Sunday, the U.N. mission said. An investigation has been launched into the crash, said UNISFA officials. Ethiopia is the sole contributor to the 4,500-strong mission. Iran—Tehran To Continue To Develop Military, Missile Capabilities, Says Rouhani Mehr News Agency | 02/11/2019 Iranian President Hassan Rouhani says his country will not ask for permission to develop weapons systems in the face of growing international opposition, reports the Mehr News Agency (Tehran). Iran will continue building anti-aircraft, air defense, ground-to-sea, sea-to-sea and ground-to-ground missiles, Rouhani told crowds gathered in Tehran to celebrate the 40th anniversary of the Islamic Revolution, which toppled the U.S.-backed Shah. Today, Iran produces 85 percent of its weapons and ammunition domestically, noted Rouhani. Hundreds of thousands of Iranians attended similar events across the country to celebrate the anniversary. Iran has made demonstrations of its military capabilities a key feature of many celebrations. On Monday, naval chief Rear Adm. Hossein Khanzadi told Mehr that Iran sought a "more meaningful presence in oceans and international waters" for its navy. Khanzadi said that the new Fateh-class submarine would join the fleet by March 20. Syria—Final Push Underway Against ISIS In Deir Ezzor Al Jazeera | 02/11/2019 U.S.-backed Syrian forces have launched an operation to retake the last territory held by ISIS in eastern Syria, reports Al Jazeera (Qatar). On Saturday, the Syrian Democratic Forces (SDF) began the push to retake areas around al-Baghouz in the eastern Deir Ezzor province, along the border with Iraq, reported the U.K.-based Syrian Observatory for Human Rights. The U.S.-led coalition supported the operation with airstrikes. An SDF spokesman said the fighting was fierce and indicated that ISIS could be defeated in the region by the end of February. Operations were suspended for several weeks to allow for civilians to evacuate the area, though as many as 1,500 are believed to remain. About 600 ISIS fighters are thought to be in the area, most of them foreign, noted NPR News. By Sunday, the SDF said it had taken 41 positions from ISIS. At least two SDF fighters were killed when their vehicle was hit by a missile, reported CNN. The militants have dug underground fortifications in al-Baghouz making for a challenging fight, said SDF commanders. Separately, the head of U.S. Central Command, Gen. Joseph Votel, said that the withdrawal of U.S. forces would likely begin within weeks. Votel cautioned against considering ISIS to be defeated, noting that the terrorist group still had tens of thousands of fighters spread between Iraq and Syria. India—Initial Batch of Chinook Transport Helos Arrive Press Trust Of India | 02/11/2019 India has taken delivery of its first four CH-47F Chinook heavy-lift helicopters from Boeing, reports the Press Trust of India. The helicopters arrived at Mundra Port in the western Gujarat state on Sunday, reported the Hindustan Times. The delivery took place ahead of schedule, noted the Economic Times (India). The aircraft are scheduled to be ferried to Chandigarh in northern India, where they will formally enter air force service later this year. India ordered 15 CH-47Fs and 22 AH-64 Apache attack helicopters in September 2015. The balance of the Chinook order is expected to be delivered by the end of the year, reported the Deccan Chronicle. China—Beijing Blasts Freedom Of Navigation Op Near Mischief Reef Cable News Network | 02/11/2019 The Chinese Foreign Ministry has criticized a U.S. freedom of navigation operation in the South China Sea, reports CNN. On Monday, the Arleigh Burke-class destroyers USS Spruance and USS Preble sailed within 12 nautical miles (22 km) of Mischief Reef in the Spratly Islands, reported Reuters. The mission was designed to challenge Beijing's excessive maritime claims in the region, said a spokesman for the Navy's 7th Fleet. The operation was carried out in accordance with international law, he said. Beijing criticized the operation, which the foreign ministry said violated Chinese and international laws. Mischief Reef has been the site of a major land reclamation project by China, which has built a military-grade airfield on the disputed territory, reported the Japan Times. The Philippines, Taiwan and Vietnam also claim the reef. This was the Navy's second freedom of navigation operation in the South China Sea in 2019. Iran—Dezful 'Smart' Ballistic Missile Unveiled Press Tv | 02/11/2019 The commander of the Islamic Revolutionary Guard Corps (IRGC) has unveiled a new surface-to-surface missile and its associated underground production facility, reports Press TV (Iran). During the ceremony at an "underground ballistic missile production facility" on Feb 7, Maj. Gen. Mohammad Ali Jafari announced the inauguration of a "smart" surface-to-surface missile named Dezful. The Dezful, an upgrade of the Zolfaghar missile, has an increased range of 600 miles (1,000 km). The Dezful has twice the destructive power of the Zolfaghar, officials said. Kosovo—Government Bolsters Defense Budget To Help With Army Transition Balkan Insight | 02/11/2019 The Kosovo government has increased defense spending for 2019 as part of its plan to transform the lightly armed Kosovo Security Force into an army, reports the Balkan Insight. The new budget allocates 58.7 million euros (US$66.5 million) for defense spending, an increase of 6 million euros US$6.8 million) from last year. About 54.5 million euros (US$61.6 million ) is earmarked for the Kosovo Security Force (KSF), including 21.9 million euros (US$24.8 million) for capital investments, Defense Minister Ibrahim Shala said. Plans call for increasing defense spending by 5 million euros (US$5.6 million) annually to fund the transformation, Shala said. In December, the Parliament adopted three draft laws develop the KSF into a regular army. USA—AFRICOM Chief Warns of Growing Russian Influence In Africa Voice Of America News | 02/11/2019 The top U.S. military officer for Africa has expressed concern that Washington is losing its influence in the region to Russia, reports the Voice of America News. Russia is working to expand its presence in regions that could provide them with an advantage over the U.S. and its allies, Gen. Thomas Waldhauser, the commander of U.S. Africa Command (AFRICOM), told the Senate Armed Services Committee on Feb. 7. Moscow has established inroads in Africa, particularly in areas where African leaders are seeking to consolidate power, Waldhauser said. Russia is particularly looking at regions, such as Libya, where it can gain an advantage over the U.S. and its allies. The move is also part of efforts to gain access to natural resources. The Central African Republic, for example, continues to "mortgage mineral rights -- for a fraction of their worth -- to secure Russian weapons," the general said, as quoted by the Ukrainian Independent Information Agency. Russia has deployed 175 mercenaries from the Wagner military company to the C.A.R. The president has also installed a Russian civilian as his national security adviser, said Waldhauser, as reported by CNN. "Russia's ability to import harsh security practices, in a region already marred by threats to security, while systematically extracting minerals is concerning," he said. "As Russia potentially looks to export their security model regionally, other African leaders facing similar instability and unrest could find the model attractive." If the U.S. wants to maintain influence, Washington needs to step up its engagement, Waldhauser said.